What can anyone say for the astonishing beauty of Rio de Janeiro, the vast and vivid beaches, the well known nightlife and carnival, images that have been seen worldwide. You can travel at city of Rio de Janeiro and you will love it by the first sight, as it’s built on bay Guanabara surrounded by unique sights such as the Hill of Sugar standing at 396m height and the Hill of Corcovado where someone can find the famous statue of Christ Redeemer (Christo Redentor), a very representative site of the city and one of the seven wonders of the new world, which seems to hugs the city and welcomes its visitors. The culture of Cariocas for the beaches of Rio, such as the well known Copacabana, Ipanema and Leblon, is a way of life and so special and different with rest of Brazil. Here the everyday life is filled with football, footvolley and bossa nova. For those who love football and football history a visit at Maracana stadium is highly recommended. Besides the carnival of Rio de Janeiro and New Year’s Day tens of thousands visitors come to town, due to many more festivals and exhibitions and shows with fireworks at beaches, so make a reservation to a hotel on time. All of the above are some of the experiences that you will live if you use the online booking tool and Rio de Janeiro will be just one click away from you. 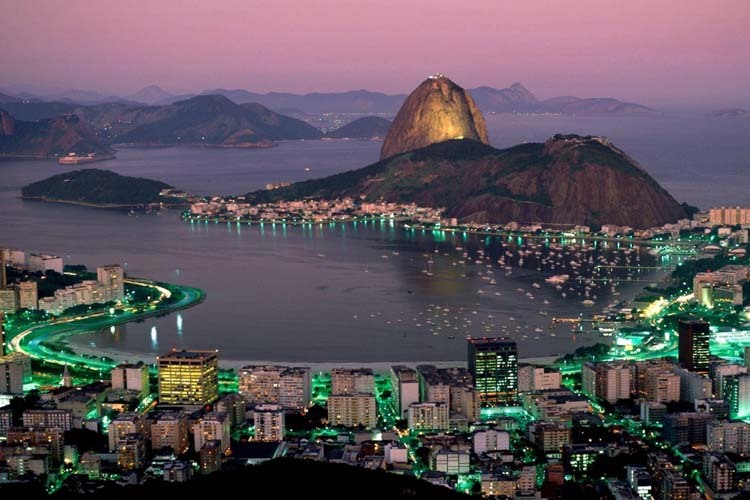 If you seek exotic beaches and intense nightlife take a trip to Rio will be the ideal mixture of fun and relaxation. Visit our site and book now and online 24 hours a day and 7 days a week your airtickets for Rio de Janeiro. In Rio de Janeirio you can also find many museums of modern art like the Museum of Carnival, you can enjoy the magical sunset at the Hill of Sugar and experience numerous activities that will satisfy even the most demanding visitor.